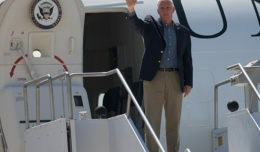 KIRTLAND AIR FORCE BASE, N.M. (AFNS) — Taking the reins of Air Force chief of safety nearly six months ago, Maj. Gen. Andrew M. Mueller took command on the heels of the safest year in Air Force manned aviation history. Fiscal year 2014 ended with only seven Class A mishaps, which produced a rate of 0.43 Class A’s per 100,000 flight hours for manned aircraft. By comparison, there were 19 Class A’s in fiscal 2015 with a rate of 1.12 per 100,000 flight hours. Aviation mishaps resulted in fewer deaths with six in fiscal 2015, compared to 10 in fiscal 2014. Ground fatalities also increased in fiscal 2015. On-duty ground fatalities rose from one in fiscal 2014 to four in fiscal 2015, while off-duty ground fatalities increased from 42 in fiscal 2014 to 47 in fiscal 2015. Fiscal 2015 aviation Class A total mishaps were nearly identical to the 10-year average of 18.5. On-duty ground fatalities were slightly above the 10-year average of 3.8, and off-duty fatalities were slightly below the 10-year average of 49.4. 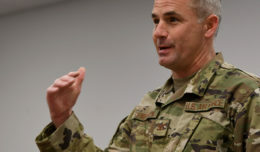 Some mishaps result from circumstances beyond one’s control, the general said, while a rising trend can underscore an area that requires emphasis or a process change. The general described his role as chief of safety as an enabler of a sustained safety-conscious culture across the Air Force. That culture, he said, safeguards Airmen, protects resources and preserves combat capability. 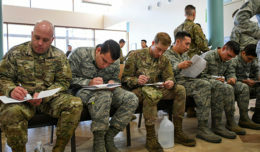 “A sound safety culture across the Air Force is one that’s just, fosters learning and reporting, and is flexible,” Mueller said. “That culture must be imparted to every new accession, and it must be protected. Most Airmen, from senior leaders to youngest recruits, understand the value of safety, the general said, but leaders have to commit to providing the resources, training and tools they need, and leaders should emphasize personal accountability to ensure every Airman, from top down, is compliant and uses risk management in every activity, every day, on and off duty. “Leadership involvement, focus on compliance and decision making at the right level are all essential to a successful safety program,” he said.